Roses are red, violets are blue, the Welsh Blood Service still has space available for you – at one of its five donation sessions across the country on Valentine’s Day, Thursday 14th February! 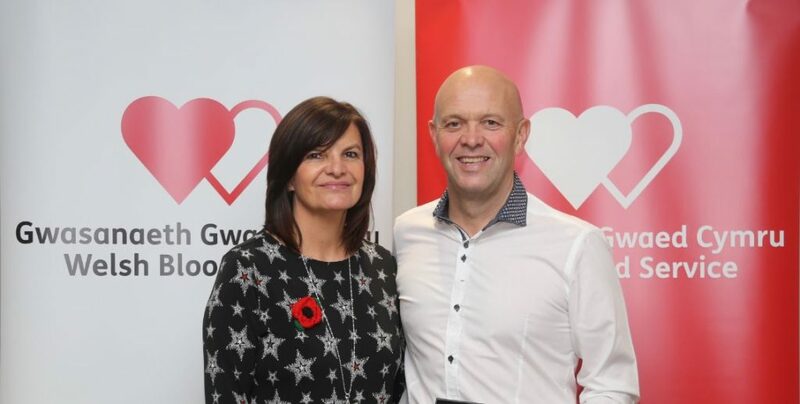 With an estimated 450 blood donations needed each day to meet the needs of patients across Wales, the Welsh Blood Service is offering its own Valentine’s Day menu to encourage donors to make a date with a loved one to donate at a Welsh Blood Service session this Valentine’s week. The three course experience begins with a pint of Wales’ finest ‘Dwr Mwynol’ (mineral water) to boost hydration levels before a gentle stroll leads to the relaxing ‘donation lounge’, where guests get to roll up their sleeves and spend quality time with their dates. The experience concludes with a selection of sweet chocolate biscuit desserts and a refreshing cup of orange or rose cordial, followed by a coffee or tea to finish. The hour-long event is free to attend and guests will leave knowing they have potentially saved up to three lives. “Life can be fast-paced and opportunities to spend quality time with loved ones can be scarce. Our donation sessions give donors the opportunity to accompany one another through a unique experience that can result in up to three lives being saved. We’re inviting donors to make a date to donate this Valentine’s at one of our donation sessions across Wales. The Welsh Blood Service needs around 100,000 donations each year to support 19 hospitals across the country with the blood it needs for patients. Make a date to donate this Valentine’s Day, click here or call 0800 252 266.